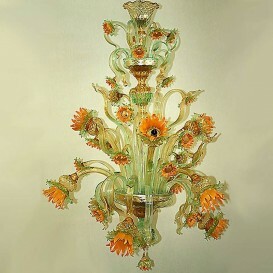 This Murano chandelier goes beyond imagination and reveals a new exquisite shape almost as a flower vase with vivid colors. 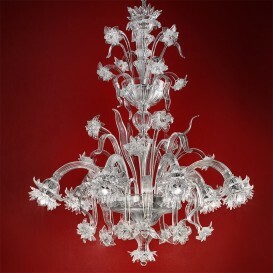 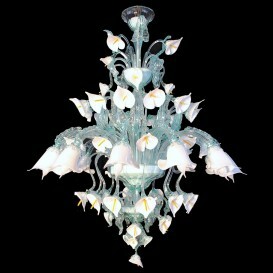 This Murano glass chandelier was designed with a very interesting looking shape. 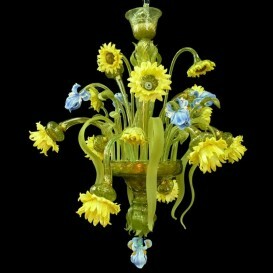 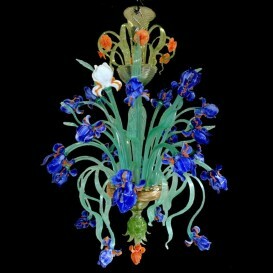 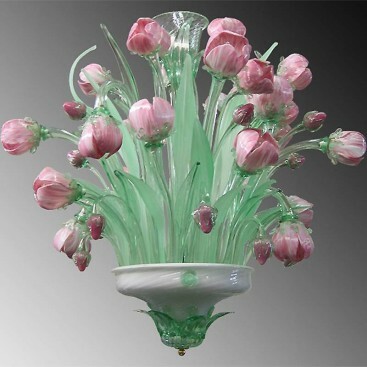 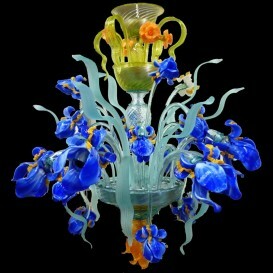 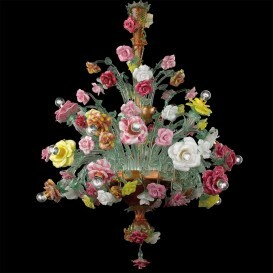 Not many artists think of designing a chandelier something like a table vase. 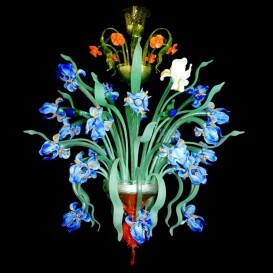 This is where creativity begins. 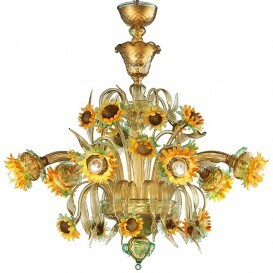 Each petal shaped to blend perfectly into a flower with its large and crisp lines. 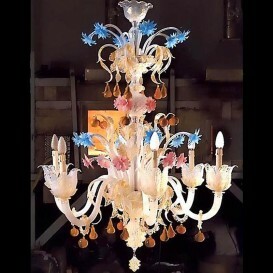 The result is outstanding. 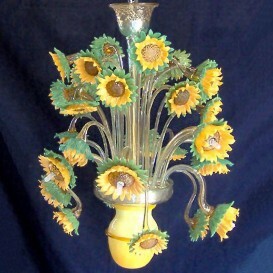 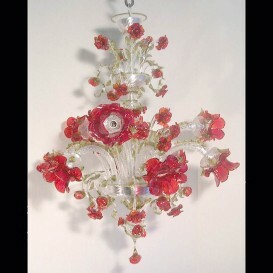 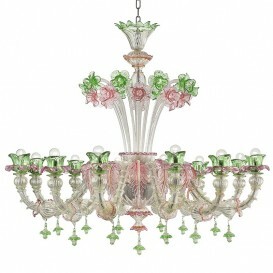 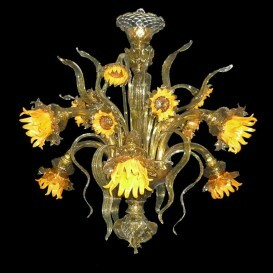 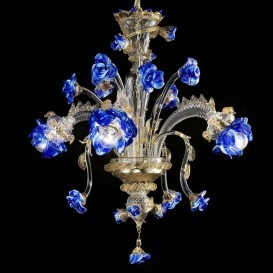 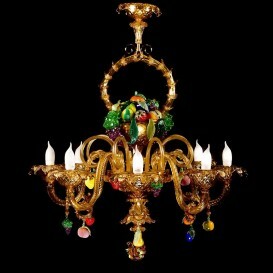 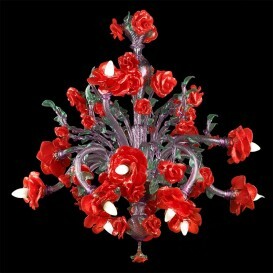 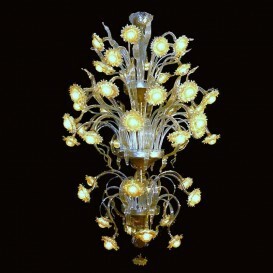 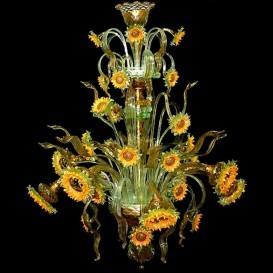 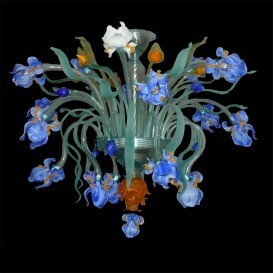 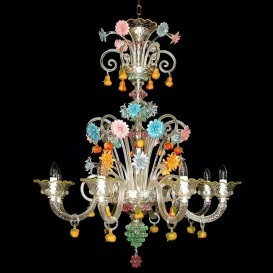 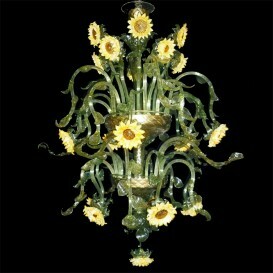 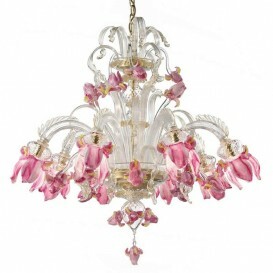 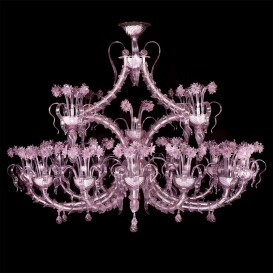 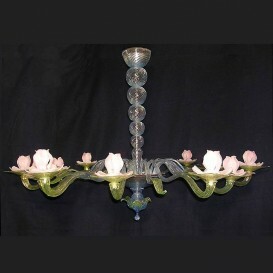 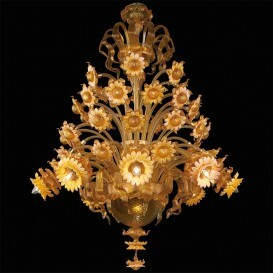 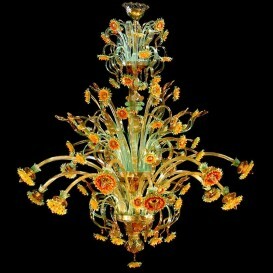 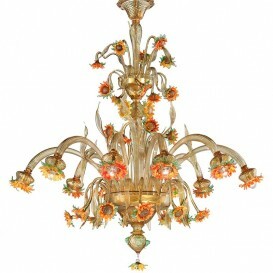 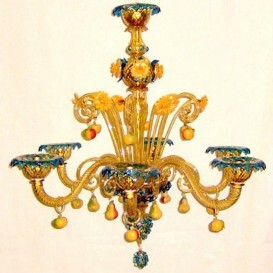 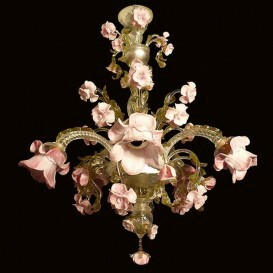 A beautifully made Murano chandelier that is the ideal gift for your sweet home.